It took a few years, but eventually the United States became involved in the great global conflict now known as World War I. 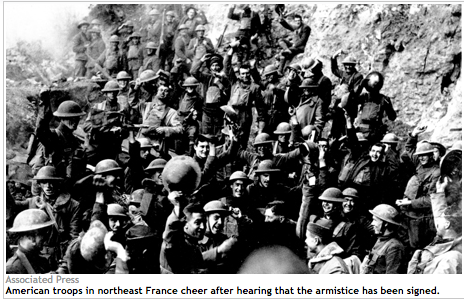 The involvement of the U.S. in World War I solidified the U.S. as a key player on the worldwide stage. Because World War I was a worldwide conflict, the Web sites listed below contain as much information about world events as they do about the role of the United States in those events. FirstWorldWar.com covers the war as a whole, and is not limited to the American perspective. Find material covering the common battles and obscure pieces of history. PBS presents “The Great War and the Shaping of the 20th Century.” Look for a timeline, maps of battlefields, a look at the events that led to the war, thoughts of prominent historians on the war and a list of resources for teachers. Internet Modern History Sourcebook: World War I has links to Internet resources organized by topic. Find information on the causes of the war, resistance to the war, the diplomatic history of the war and even literary responses to the war. EyeWitness to History.com covers first-hand accounts of the sinking of the Lusitania, the American declaration of war, the armistice, the end of World War I and more. Click on each title, below, for our coverage of important and intriguing events of World War I, as well as other historic events that occurred during the War, in chronological order.